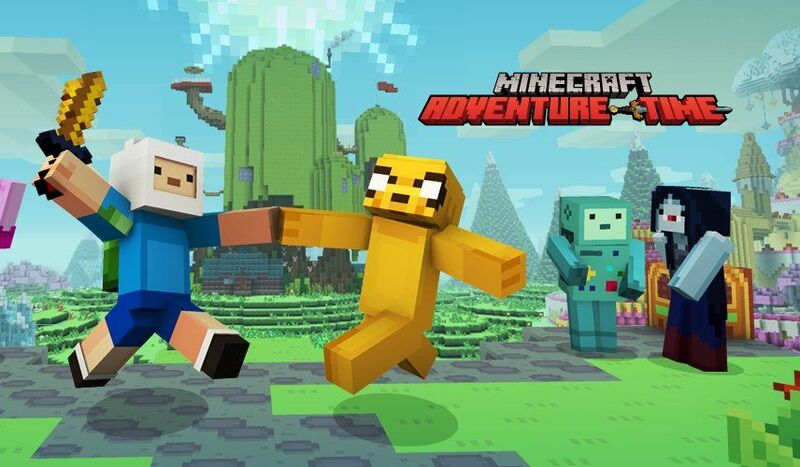 Minecraft Update 1.49 for PS3 and PSVita released with new Adventure Time Mash-up Pack as well as added Magic: The Gathering Skin Pack and Temple, a free Glide track. In addition, the update also added Pick Block, an off-hand slot for Maps and Arrows, shulker Box item, shulker Shell item and more. More items can now be used as fuel in a furnace. There are other bug fixes and improvements also included in the new update. Check out the patch 1.49 patch note. Added Magic: The Gathering Skin Pack. Added Temple, a free Glide track. Your best run in Glide will now be recorded (as long as it is under 5 minutes), and a Ghost will fly alongside you in Solo Mode to help you improve! Minecraft Update 1.49 for PS3 and PSVita added Pick Block – This is unassigned by default. Added Iron Nugget item. You can now smelt Iron and Gold armor into nuggets. Added some new sound effects for filling Cauldrons, paddling Boats, using a Fishing Rod, and End Portals. Using a Firework while gliding with Elytra will now give you a boost. Don’t try this at home! Added Concrete Powder Blocks – 16 Different colors! Minecraft Update 1.49 for PS3 and PSVita added Concrete Blocks – 16 Different colors! Added Glazed Terracotta Block – 16 Different patterns! MCCE-4554 – Take Damage when falling into slime block. MCCE-4704 – Fall Damage being taken in 1×1 areas. MCCE-4551 – Falling in shallow water is damaging players. MCCE-2308 – Player Glitched out in Battle Mode. MCCE-2902 – Squids not spawning in anything man-made. MCCE-4604 – Battle Mode Spawn Glitch. MCCE-2019 – Some times when with an arrow or hit the players screen will freeze or shake. MCCE-4662 – Minecraft Update 1.49 for PS3 and PSVita fixed the Exp from Coal not going to mending. MCCE-4591 – Map direction icon skewed. MCCE-4278 – Banner are giant. Check your game update and download latest Minecraft Update 1.49 for PS3 and PSVita.